Ireland's largest regional shopping centre, Whitewater Shopping Centre, has been put up for sale by its joint venture owners for more than €150m. Savills and Coady Supple have been instructed joint agents to begin marketing the freehold interest in the 300,000 sq.ft centre in Newbridge, which opened in 2006 and comprises four anchor tenants, 63 retail units, 11 food court units and a six screen cinema. The Mountbrook Group acquired the former Irish Ropes site in 1999 in partnership with Ballymore Properties. The €150m quoting price equates to a net initial yield of circa 7.5%. The development has a weighted average unexpired lease term of more than 11 years, and sits in Newbridge, Co. Kildare, one of the fastest growing commuter towns within the Greater Dublin area. The property generates a net operating income of around €11.7m per annum. Of this, 87% is produced by the shopping centre tenants and the remainder is from the car park and residential units. The majority of leases are effectively full repairing and insuring by means of a comprehensive service charge. Around 25 of the tenancies incorporate turnover provisions providing potential income growth beyond current levels. The Newbridge/Naas area has emerged as a hub of industry, with global firms such as Kerry Group, Intel, Oral B, Newbridge Silverware and Pfizer all setting up bases there. The area is also renowned for being the ‘Home of Irish Horse Racing’ and the location of the Irish Army’s largest military base. Whitewater Shopping Centre benefits from a catchment area of over 310,000, and is anchored by Debenhams, Marks & Spencer, Zara and H&M, with other retailers including Boots, New Look, River Island, Eason and Odeon Cinema. 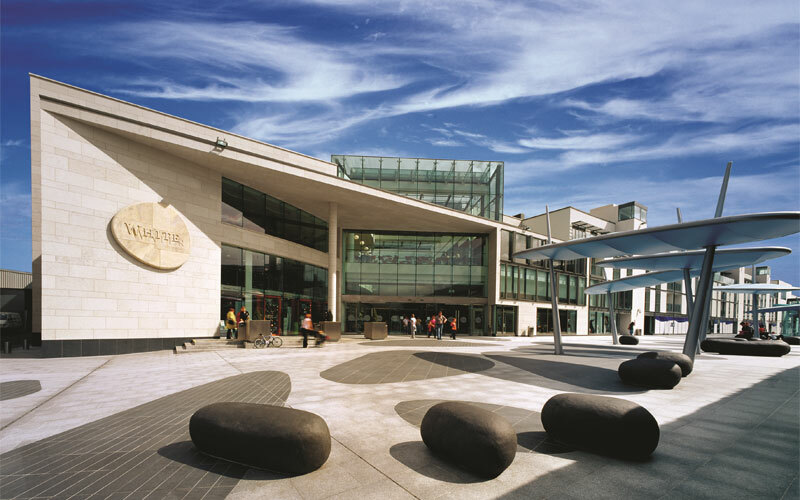 The launch follows the recent announcement that Hammerson and Allianz Real Estate have agreed to acquire the Project Jewel portfolio of loans secured against prime retail assets in Dublin, including Dundrum Town Centre, and part ownerships of the ILAC Shopping Centre and the Pavilions Shopping Centre in Swords. Savills and London based Coady Supple commented that “the sale of Whitewater Shopping Centre has been keenly anticipated by many domestic and international investors looking for scale and security but potentially not willing to compete for the enormous scale which was offered through Project Jewel.